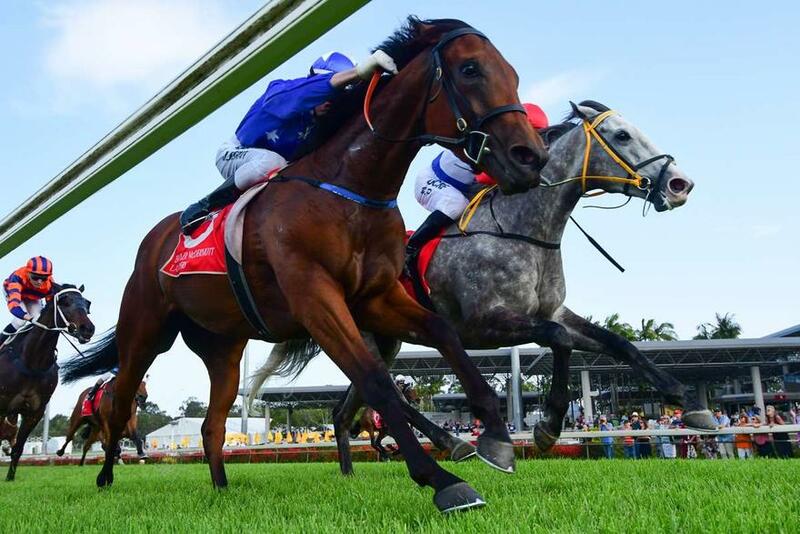 In-form mare SKY LAKE will be chasing her third win from four starts when she contests the Whittington @ Grandview Stud Class 6 Handicap (1350m) at Ipswich today. The All Too Hard mare scored a narrow win at the Sunshine Coast at Class 4 level last start to make it two wins in three starts this preparation since joining the Munce stable from Victoria. Leading jockey Ryan Maloney has been engaged to ride and the mare will jump from barrier 3. TRAINER COMMENTS: "The track has come up a good 4 this morning. The mare herself is in good form and I'm very happy with her going into this race. I'm assuming from the draw, she'll have enough speed to lead or be in the first three and I think the Ipswich track will suit her well with the short straight. Hopefully she can hold her form together and win again."